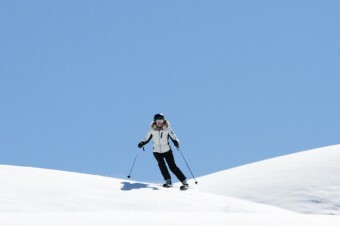 Following on from Michael's excellent blog post recently that covered a number of subjects, including 'Spring Snow Skiing', I thought I'd write a little more about this fantastic skiing sensation. Before I continue any further, let me try to describe what spring snow actually is. 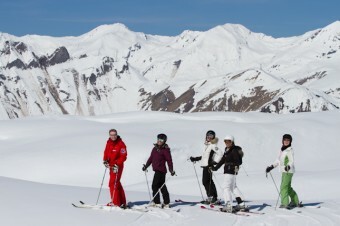 Firstly, spring snow is nothing to do with snow conditions on the prepared piste; we are talking about the off-piste environment here. 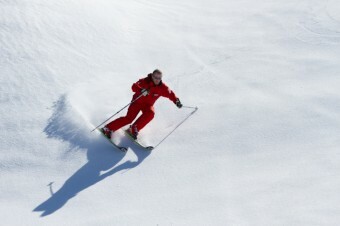 As soon as I mention off-piste, many people start to panic and think that they don't have the skiing ability to ski off-piste. 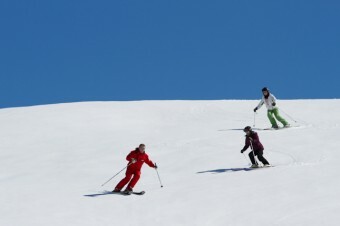 Normally I would agree that a certain amount of skill is needed for off-piste, but in fact spring snow in the off-piste environment is a different matter. 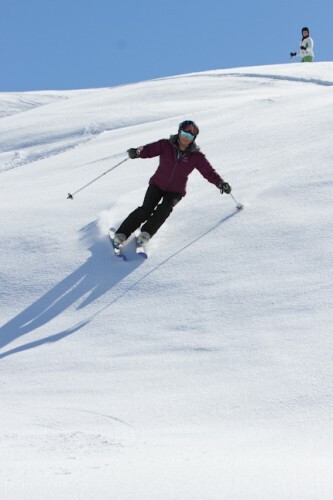 The snow feels very smooth indeed, even smoother than any piste that a Courchevel piste basher can ever produce. I'm still not sure how else I can describe it, so here are other phrases: floaty snow, velvety, creamy smooth....this list continues. 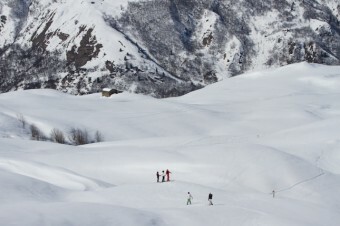 So how does this spring snow form off-piste? During the hot Spring days of late March and April, the power of the sun increases in strength. That's one reason why we need much higher factor sun screen as the Spring progresses. 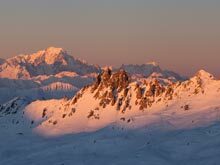 During the day with higher temperatures, especially if direct sun is involved, the snow surface melts and the moisture begins to saturate further levels of the snow pack, and quite often all the way down to the ground. That's why in Spring the avalanche risk shoots up sky high during the course of the afternoon and you will see some massive avalanches that go right down to the base. 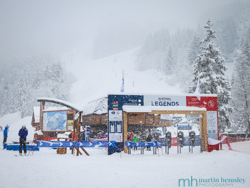 This is what happened with the huge slide under the Dent de Burgin chairlift that Michael spoke about last time. This all sounds rather scary, and to be honest it can be very dangerous. If you ever see a piste sign/banner that explains that a certain piste is closed due to avalanche risk then that's often the reason why. Anyway back to spring snow. This wet saturated snow is very difficult and dangerous to ski on. However, if the temperatures drop overnight and the snow pack re-freezes the snow transforms greatly in character. Firstly the avalanche risk reduces (until the temperatures rise again), and secondly the top layer of snow becomes ski-able. You often need more than one thaw-re-freeze process to create nice spring snow. 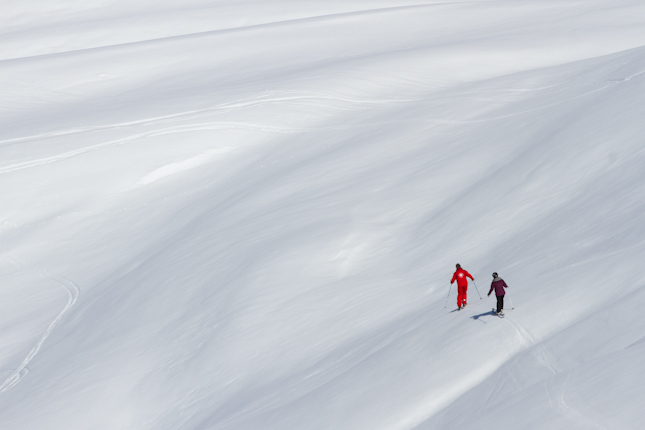 The secret to an enjoyable spring snow skiing experience is to time the descent just before, and sometimes at the start, of the thaw process. This is the interesting part. The timing of the thaw very much depends on the altitude, the aspect of a pitch, and the weather. Likewise, local knowledge is also priceless - it takes years to learn where's best to go. 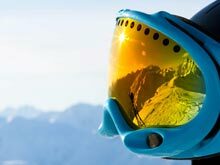 What was really interesting on the day that Michael and I went skiing together, with a number of other friends, was that Michael showed me an area that I had never skied before on Spring snow. So it was great for me to learn a new route. Likewise I led Michael and the group to an area that none of them had been to before! A fantastic experience for us all to learn from. 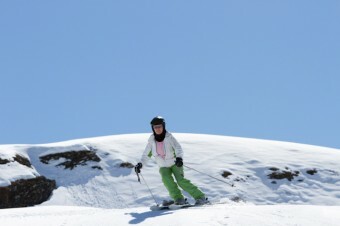 One of the main reasons it's so much fun is the fact that you are away from busy pistes and other skiers. You are in a very peaceful environment 'away from it all'. 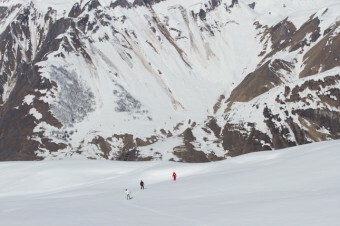 So if you haven't skied much off-piste before, this can be a fantastic introduction to it. Granted, one can never plan to go Spring snow skiing because you have to wait for Mother Nature to gift us with these conditions. As ever, please feel free to leave a comment, it's always lovely to hear from you. Don't forget there is also Facebook and Twitter to follow if you fancy, you can click on the links at the top of this page. 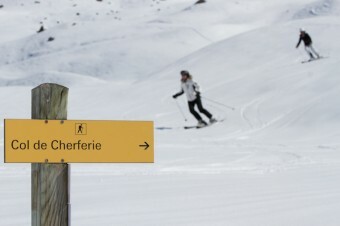 The lifts in Méribel closed this weekend, and already Michael and I are back in the UK. However please stay tuned because we will continue to blog regularly over the summer, with my next post in a couple of weeks' time. It will be about my final few days in Méribel before returning back to the UK this weekend. Live with passion everyone.